Esther with her two sons. Esther Mung’ui, 36, is a mother of two boys. Her eldest son, Ian, is aged 14 years and is autistic. 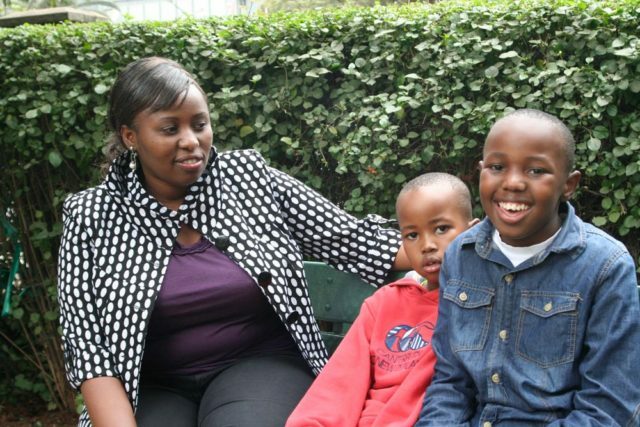 Today, on World Autism Awareness day, I share Esther’s journey raising a child within the Autism Spectrum Disorder (ASD). For starters, she talks about the moment she began realizing that there was something amiss with her son. “I vividly remember the time Ian was about 18 months old, when he couldn’t stand on his own despite my encouragement for him to do so. By that age, most children are already walking on their own, but my Ian wasn’t. When I spoke to my friends about it, they advised me not to worry too much, that boys usually achieve their milestones later than girls. So I took it easy, knowing that it was just a matter of time before he would walk on his own. But I waited, and waited, and waited. Finally, just after his second birthday, Ian took his first step. It was a joyful moment for all of us because we had waited for it for so long! But aside from this delay, there were other things that were causing me sleepless nights. While other two year-olds were able to utter a few words, possibly even put together a short sentence, Ian was yet to say anything. He was yet to speak a single word. In addition, I also noticed that Ian would never look anyone in the eye when being spoken to, which I found to be very unusual. As he grew, I noticed that he was never able to keep still. He would be constantly on the move, staying in one place for no more than two seconds. He was too hyperactive. This, compounded by the fact that he would express himself ‘differently’. How so? When angered, Ian would throw tantrums, bite, throw things around, or bang his head repeatedly against the wall. Sadly, he would sustain injuries in the process. I took him to hospital where he was eventually diagnosed as being autistic. Raising Ian has been a journey and a half indeed –one filled with lots of challenges. There have been countless outpatient hospital visits, hospitalizations, huge financial bills, rejection by schools as they cannot handle an autistic child, my attempts at homeschooling him, and many more. But there have been joys too. Ian has a passion for music, and interestingly, he is able to sing effortlessly. All my son needs to do is keenly listen to a song –just once -and he will grasp all the words of the song. All. Of. Them. He will then sing word for word and in the exact same tune! Watch him sing in the video below. Ian is 14 years old and in class seven. Some of the milestones and achievements that he achieves make me so proud of him. He is becoming more and more independent by the day. For example, he is now able to go to school alone in the morning and return home on his own in the evening, even though the school is a distance away. His communication skills have also improved a lot, and he is no longer echolaic (one who constantly repeats what someone else says). He can now respond to some conversation. He can also structure a brief three-word sentence to express himself, something that he wasn’t able to do before. For example, he can say “ona huyu anaharibu”. Hearing him say such words is actually a miracle. The center that Esther and her friend established, that caters for children with special needs. 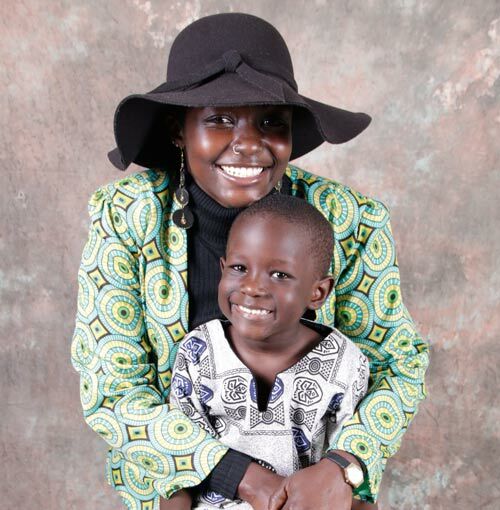 Four years ago, based on her experiences raising her autistic child, more so in regards to his education, Esther decided to partner with a special needs teacher to start a school for special needs children. 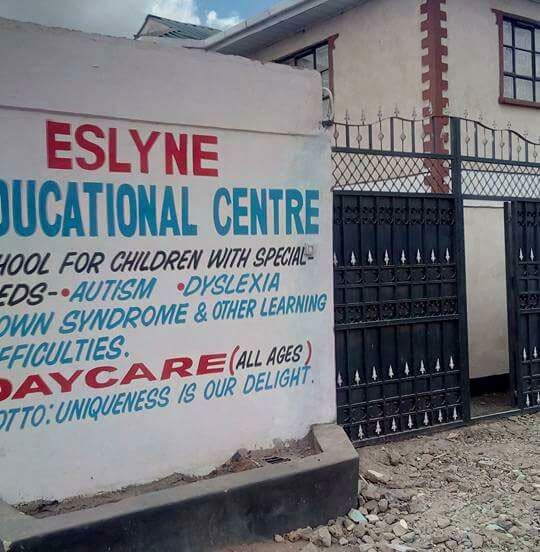 Eslyne Educational Center located in Utawala estate, Embakasi in Nairobi was started four years ago. It is a learning center that is open to all children with special needs, including autistic children. 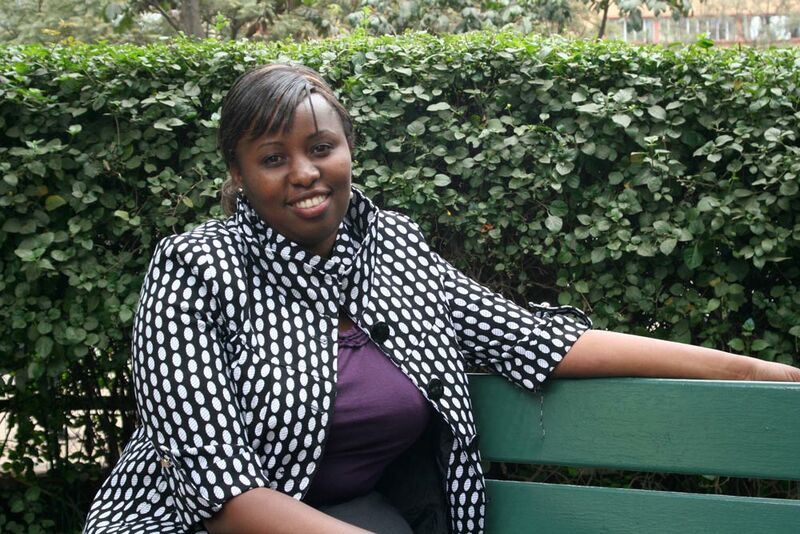 Running the school has given Esther a new lease of life, knowing that she is helping parents deal with some of the challenges that she herself faced. “As a first-time-mom with a special needs child, I had very little information, and I struggled to navigate my way around. 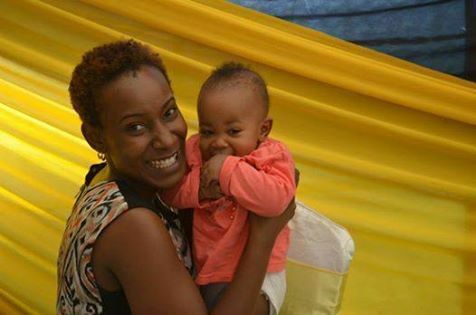 By setting up the Centre, we hope to assist as many other parents, so that their journey can not be as challenging,” Esther concludes. 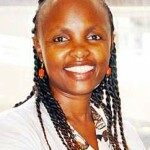 Maryanne Kariuki who delivered her twins prematurely at six months. Shamim Okolloh who, while studying in the US, at one point ran short of funds to pursue her studies. 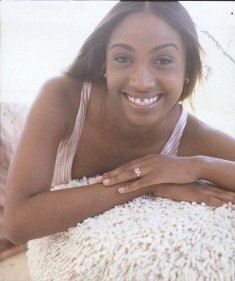 Samona, who at one point slapped her five-month old son. She didn’t know she had post-partum depression. 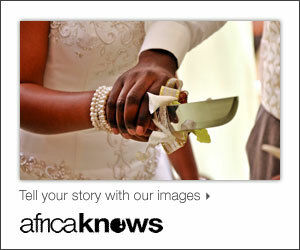 *Some of the photos I used are for this article I originally published in The Star.